New engine, same body. MSI brings Coffee Lake to their entry-level GV62 line. While the new Intel CPU is a breath of fresh air, it is the only real change to the machine since last year. Buggy system behavior and a cheap plastic case keep the GV62 8RE from being little more than white noise. 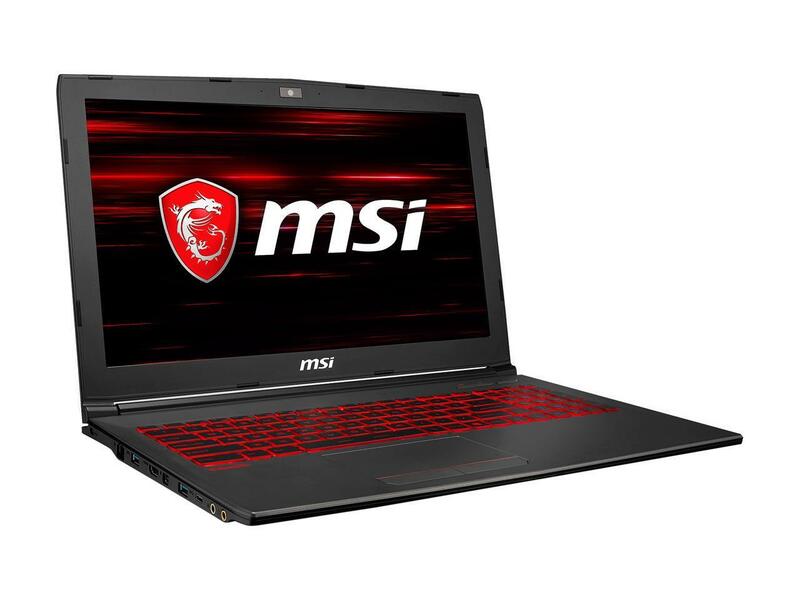 As is customary for MSI, with the launch of next-gen products they are keen to revamp product lines and the MSI GV62 8RE is one such laptop which now benefits from Intel’s 8th Generation (Coffee Lake) CPUs. The MSI GV62 8RE is a sleek and affordable gaming laptop that packs a lot of power, but the display could be better. 70.75%: This rating is bad. Most notebooks are better rated. This is not a recommendation for purchase.